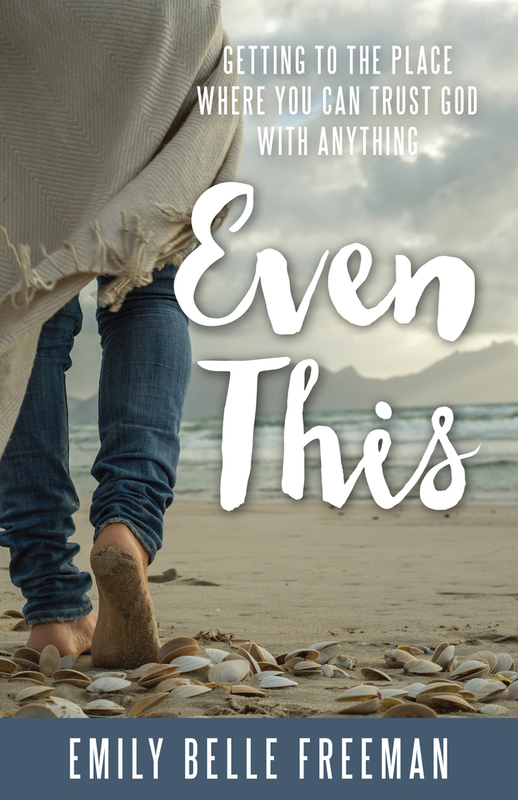 About the book: In Even This, Emily Belle Freeman shares her own deeply personal experiences of feeling forgotten by God—from the fear of abandonment in a dark hospital room to the desperation that followed months of unanswered prayers. In a moment of honesty, she found herself asking the question she had been afraid to consider: "Where is God in this?" Let go of your need to control by discovering what is holding you back from being completely vulnerable with God. My review: Sometimes I dread reading non-fiction just a little bit. It seems like I read it way slower and sometimes it makes my brain hurt. I have to tell you that this book is not like that at all! 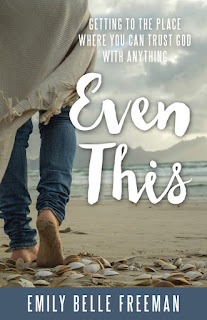 I love the way that Emily Belle Freeman writes, she has so many personal experiences she shares and she just has such a great style. I really enjoyed reading this one! I really enjoyed reading all of her personal experiences. I learned a lot myself from those experiences. Things that will help me with what I am already dealing with in my daily life and things that will help me with life to come. This book has 4 main sections. They are all amazing! The sections are Believing He Can, Trusting He Will and Understanding Why Sometimes He Doesn't and then there's a journal section where you can write down what you learn as you read it and beyond, as you learn more and more. This book is not one that you'll read just one time. This is one of those that you can read over and over and learn more and more from each time you read it. I'm looking forward to all I can learn from it as I read it again and again. About the author: Emily Belle Freeman is a best-selling author, popular inspirational speaker, and co-founder of Multiply Goodness. Her greatest joy comes from spending time with her husband, Greg, her children, and her grandchildren. For a few minutes every day she leaves the dishes in the sink and writes about the ever-present goodness of God in the ordinary details of her life. Read more at emilybellefreeman.com and follow her on Instagram and Facebook: @emilybellefreeman.